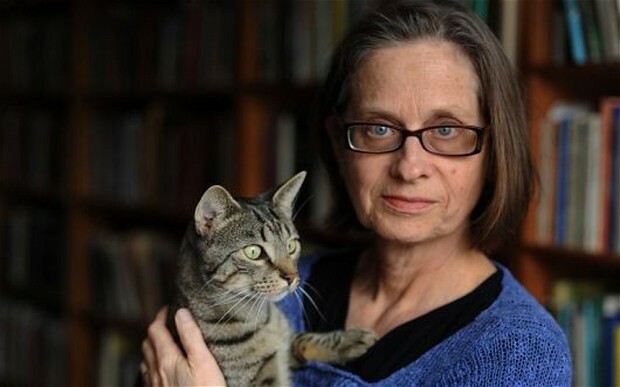 lydia davis short stories | Book Fight! Hello, listeners! It’s the last week of our spring season, in which we’ve been reading stories about various types of flings. For this final installment, we’re discussing the Lydia Davis story “Break It Down,” from her collection of the same name. In the story, a man tries to calculate the literal cost of a love affair, though that accounting is really just a vehicle for considering the ways even a short-lived relationship–especially a short-lived relationship?–can leave lasting psychic marks. Here’s a picture of the author, along with a quite lovely cat. Also this week, we wrap up our discussion of literary affairs by looking at romances between writers that were actually successful. Thanks to this Lit Hub piece, by Emily Temple, for providing us lots of discussion fodder. We’ve also got a final installment of dating advice for writers, plus some literary quotes that may (or may not) help you get that special someone into the sack. As always, you can stream the show right here on our site, by clicking on the player below. Or download the mp3 file. Or visit us in the iTunes store, where you can subscribe (for free!) and never miss another installment. Categories: Episodes, Spring Fling | Tags: 20th century american fiction, American short fiction, how to write about a romantic relationship, how to write about affairs, lydia davis short stories, romantic literary quotes, short stories about affairs, stories about infidelity, what does it cost to have an affair?, writers with happy marriages | Permalink.